Osteoarthritis (OA) can be crippling if untreated as it disintegrates the cartilage that supports the joints of the spine, knees, hands, and spine. This causes debilitating pain because the bones start rubbing against one another. This can impact an individual’s ability to work and perform otherwise routine activities such as standing up after being seated for a few hours. Board certified orthopedic surgeons Dr. Steven C. Thomas and Dr. Gregory T. Bigler provide treatments for the knee, shoulder and other joints to patients in Las Vegas, Nevada, and surrounding locations. OA can lead to severe pain as well as limit joint motions, sometimes to the point of disability. In general, this means that a person cannot perform the routine activities of daily life anymore, such as bending down, climbing up a flight of stairs, walking for a distance, or even getting dressed by themselves. Osteoarthritis can also impact the ligaments and muscles. Individuals with OA can sometimes suffer from depression and helplessness due to their limitations. This can be disabling as well. In this condition, medication and physical therapy may be helpful. In the event that the patient is unresponsive to other treatments, joint replacement surgery can usually help individuals with this debilitating condition become independent again. 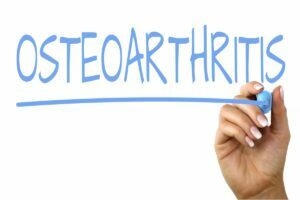 There are various ways to avoid or slow down the disabling impact of osteoarthritis with pain drugs, exercise, physical therapy, and surgery. It typically takes years for OA to become severe. However, it may progress quite quickly in some cases. There are varying levels of disability, and only a doctor can diagnose a person with a disability associated with OA. It is important to keep in perspective that all osteoarthritis patients do not become disabled by it. A person can take various steps such as exercising and losing weight to help them manage their OA and prevent disability over time. The joints may ache, but not because they require rest. Osteoarthritis patients can improve their strength and flexibility, and get some pain relief from a combination of moderate stretching, weight lifting, and aerobic exercises such as water exercise classes, swimming, and cycling. A doctor can help the patient devise an exercise regimen that offers the maximum benefits with little discomfort. 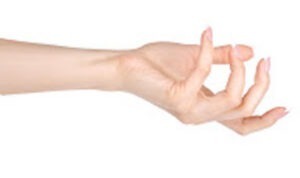 In fact, there are even specific exercises to stretch the fingers. If a person is overweight, reducing a few pounds can help them take the strain off their joints and reduce pain. Good posture can ease and prevent OA-related pain in the hips, back, and knees. The patient should adapt their environment to their condition. If they have arthritis in their fingers, for example, they may require footwear that fastens with Velcro rather than laces. It can be deeply rewarding for patients to share their experiences with others. Support groups can help the patient learn practical tips for managing arthritis. Prompt treatment can prevent OA from causing disability. According to the Arthritis Foundation, this disease is behind over 27.5 million outpatient visits annually. It is also the primary reason for joint-replacement surgery. Board certified orthopedic surgeons Dr. Steven C. Thomas and Dr. Gregory T. Bigler receive patients for knee, shoulder and other joint treatments from Las Vegas, Nevada, and nearby areas. If you would like to schedule an appointment or learn more about the Knee and Shoulder Institute procedures & treatments performed by Las Vegas, Nevada board-certified surgeons Steven C. Thomas, MD and Gregory T. Bigler, MD. Contact the office today click here. The symptoms of osteoarthritis (OA) vary depending on which joints are impacted and how severely they are affected. But the most common symptoms of this condition are pain and stiffness, especially right after getting up in the morning or after resting. The affected joints may get inflamed, particularly after extended activity. Rather than showing up suddenly, these symptoms tend to build-up over time. Board certified orthopedic surgeons Dr. Steven C. Thomas and Dr. Gregory T. Bigler, provide treatments for the knee, shoulder, and other joints to patients in Las Vegas, Nevada, and surrounding locations. Pain: The joint may hurt during or after movement. Tenderness: The joint may feel tender when light pressure is applied to it. Stiffness: The patient may experience the most joint stiffness when they wake up in the morning or after a period of being inactive. Loss of Flexibility: The patient may not be able to move their joint through its complete range of motion. Grating Sensation: The patient may hear or feel a grafting sensation when they use the joint. Bone Spurs: These are extra bits of bone which feel like hard lumps and may develop around the impacted joint. Patients who experience persistent joint pain or stiffness should consult with their doctor. While it is often possible to effectively manage osteoarthritis symptoms, the underlying process cannot be reversed. The progression of the condition may slow down by staying active, maintaining a healthy weight and undergoing treatment. At times, osteoarthritis development depends on genetic predisposition. A person is more likely to develop OA if their parents or siblings have the condition. Researchers still do not understand why this condition runs in families. While no specific gene has been identified as the reason for OA development, genes may contribute to a higher risk. 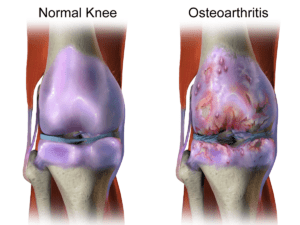 Osteoarthritis causes the degeneration of joints, and it becomes more common as people age. The Centers for Disease Control and Prevention report that more than one-third of adults over the age of 65 years have OA symptoms. Osteoarthritis can impact men as well as women. The National Institutes of Health highlights that it is slightly more prevalent in men until the age of 45 years. After that, it occurs more commonly in women. This may be an indication of the different joint stressors that males and females experience at different ages. Being overweight is a contributory factor in OA development. The more a person weighs, the higher their risk of developing this condition. Excess weight puts additional stress on weight-bearing joints; the joints of the hips and knees are certainly among them. To build onto that, fat tissue generates proteins that may lead to harmful swelling in and around the joints. 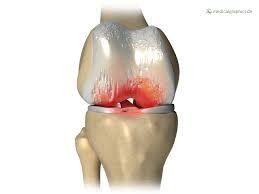 Osteoarthritis risks may increase due to injuries that occur when playing sports or those sustained from an accident. In fact, even an injury sustained several years ago, and one that appears to have healed can increase OA risks. People working in an occupation that creates repetitive stress on a specific joint may eventually develop OA. Some individuals are born with defective cartilage or malformed joints. This may increase the risk of OA development. Osteoarthritis is a degenerative condition that becomes worse over time. The patient may experience severe joint pain and stiffness making even routine tasks difficult to perform. Some individuals may no longer be able to work. Doctors may recommend joint replacement surgery when joint pain is this severe. Board certified orthopedic surgeons Dr. Steven C. Thomas and Dr. Gregory T. Bigler, receive patients for knee, shoulder and other joint treatments from Las Vegas, Nevada, and nearby areas. Osteoarthritis (OA), also known as degenerative joint disease or degenerative arthritis, is the most commonly occurring chronic condition of the joints. It affects more than 25 million people in the United States. While OA can affect any joint, it usually develops in the lower back and neck, hips, the bases of the big toe and thumb, and the small joints of the fingers. Normal joints comprise a taut, rubbery substance known as cartilage, which covers the end of every bone. Cartilage provides a smooth gliding surface for the movement of the joints and creates cushioning between the bones. OA leads to cartilage disintegration, which causes pain, swelling, and problems in joint movement. This condition worsens over time leading to the disintegration of bones and development of growths (spurs). 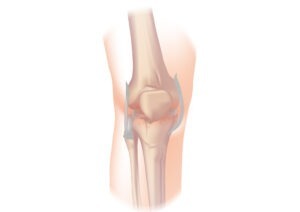 In the final stages of OA, the wearing of cartilage causes the bone to rub against bone. This friction leads to joint damage as well as more pain. Board certified orthopedic surgeons at Thomas & Bigler Knee & Shoulder Institute provide treatments for the knees, shoulders and other joints to patients in Las Vegas, Nevada, and surrounding locations. OA can develop in individuals of any age, but it most commonly occurs in people above the age of 65 years. The common risk factors for OA development are increasing age, previous joint injury, weak thigh muscles, obesity, joint overuse, and genetic predisposition. Analgesics are pain relievers, and they comprise acetaminophen, opioids (narcotics), and an atypical opioid known as tramadol. These drugs are available OTC or by prescription. These are the most commonly used medications to resolve inflammation and associated pain. Ibuprofen, aspirin, celecoxib, and naproxen are some common NSAIDs. These medications are available OTC or by prescription. Corticosteroids are powerful anti-inflammatory drugs, which are either taken orally or injected directly into a joint by a medical professional. Hyaluronic acid (HA) refers to a substance that occurs naturally within the joint fluid. It is a lubricant as well as a shock absorber. However, HA seems to break down in people with OA. HA injections are administered at the physician’s office. Assistive devices provide patients with mobility and function. These devices include walkers, canes, splints, scooters, and shoe orthotics along with useful tools such as jar openers, long-handled shoe horns, or steering wheel grips. Medical supply stores and pharmacies stock many these types of devices. But some items, such as custom knee braces and shoe wedges are prescribed by a doctor. A physical or occupational therapist helps people fit these types of items and so on. To enhance their well-being and for symptomatic relief, many OA patients use natural or alternative therapies. Some such therapies include massage, acupuncture or acupressure, nutritional supplements, and hydrotherapy and relaxation techniques. Severely compromised joints will require joint surgery to replace or repair the joint, especially knee and hip joints. A physician will refer joint surgery candidates to an orthopedic surgeon. Rheumatoid arthritis can be a debilitating condition, if the patient ignores the symptoms or develops complications. Appropriate and timely medical intervention is important for RA. Board certified orthopedic surgeons Dr. Steven C. Thomas and Dr. Gregory T. Bigler provide treatments for the knee and shoulder to patients in Las Vegas, Nevada, and surrounding locations. The patient finds it hard to use the joint, and it does not move as well as it did previously. This usually occurs in the morning. Many other types of arthritis lead to stiff joints in the morning. However, it takes people with RA more than an hour, sometimes several hours, before their joints feel loose. The fluid in the joint causes it to become puffy and tender. Swelling within a joint makes it painful whether the patient moves it or not. This can lead to damage and pain over time. The joints may be warmer and display changes in color related to the swelling. Sometimes people with RA develop rheumatoid nodules as well. These are bumps beneath the skin. They are usually not painful and move easily upon touching. RA can cause damage to the lungs or inflammation in the lining surrounding the lungs. This condition is known as pleurisy. While there may be no symptoms, the patient may notice shortness of breath. The doctor can address pleurisy with medications that ease the swelling in the lungs. Similarly, RA can lead to swelling in the lining around the heart (known as pericarditis) or heart muscle (known as myocarditis). The patient will likely not notice any symptoms but may experience chest pain or shortness of breath, in which case they should contact their doctor. This condition can increase the chances of stroke, heart failure, and atrial fibrillation. Cataracts: This condition causes a clouding of the lens in the eye affecting the vision. Dry eye syndrome: The eye cannot produce a healthy tear film causing dry eyes. Scleritis: Swelling and redness in the white portion of the eye. Bones: The chemicals that lead to inflammation can also affect the bones. The hips and spine are usually affected. At times, it is a side effect of years of steroid use in the treatment of RA. Liver and kidneys: RA affects the liver and kidneys only in rare cases. However, the medications that treat RA can affect these organs. Nonsteroidal anti-inflammatory drugs (NSAIDs) can have a negative impact on both the liver and kidneys. Cyclosporine can lead to kidney disease. Methotrexate can cause liver damage. Immune system: RA drugs can make the immune system sluggish. This can increase the patient’s susceptibility to getting infections. Mucous membranes: The patient will be more likely to experience a condition known as Sjogren’s syndrome which dries out moist places in the body such as the mouth, eyes, and inside the nose. Muscles: The attached muscles get weak when the inflammation prevents a person from moving their joints. Or the patient may develop a condition known as myositis that weakens the muscles. The RA drugs that a patient takes may be a reason for muscle weakening. Thomas & Bigler Knee & Shoulder Institute, led by board certified orthopedic surgeons Dr. Thomas and Dr. Bigler, receives patients for orthopedic surgery from Las Vegas, Nevada, and nearby areas. Every person affected with Rheumatoid Arthritis (RA) experiences slightly different symptoms. Some patients may have only a few or no symptoms for long periods while others may experience symptoms for months at a stretch in an aggravation of the disease activity known as a flare. A majority of patients have persistent issues with bouts of worsening of the condition. But there are dramatic changes in the situation due to innovative and earlier treatment. An increasing number of people are now experiencing low disease activity or even remission. 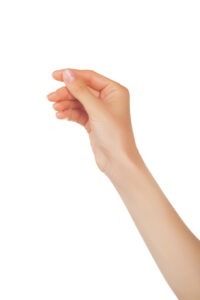 The patient finds it harder to use the joint, and it does not move properly. This situation is common in the morning. People with other types of arthritis also experience stiff joints in the morning. However, it takes people with RA over an hour, at times several hours, before the joint feels loose. The joint becomes puffy and tender due to the presence of fluid. Swelling inside a joint cause it to hurt whether the patient is moving it or not. This can lead to damage and pain over time. The joints may be warmer and display color changes related to the swelling. What Joints Does RA Affect? RA patients notice a symmetrical pattern. It manifests in the same joints on either side of the body, such as both hips or both wrists. While not a frequent occurrence, RA can also impact a joint in the voice box making the patient’s voice hoarse. Anemia or a deficiency of healthy red blood cells can be a reason for extreme fatigue. The doctor will examine this as an element of the RA diagnosis. Some of these symptoms can also be a result of depression. It is hard to live with a chronic condition like RA. The patient should consult their doctor if they feel they may be experiencing RA symptoms. The patient should reach out to their doctor if they experience any of the following symptoms. Gradual onset of the pain and stiffness could indicate the initial stages of RA, osteoarthritis, or another arthritic disease. If the pain manifests quickly and is accompanied by fever, the patient may have infectious arthritis. If there is no fever, the patient may be developing gout (usually in the big toe) or pseudogout. The patient may experience pain and stiffness in their legs, arms, or back after sitting for short durations or after getting up in the morning. This may be an indication of the onset of RA, osteoarthritis, or another arthritic condition. A child with juvenile RA may display symptoms such as pain or a rash in the wrists, knees, and ankles, or experience fever swings, weight loss, and poor appetite. Rheumatoid arthritis (RA) treatment goals include inflammation control, pain relief, and reducing the disability associated with the disorder. In general, the treatment includes drugs, physical or occupational therapy, and regular exercise. Some patients may require a surgical procedure to address joint damage. The key to good outcomes is early and aggressive treatment. The advanced treatment options available today can slow down, or in many cases, stop the progression of RA. Board certified orthopedic surgeons Dr. Steven C. Thomas and Dr. Gregory T. Bigler provide treatments for the knee and shoulder to patients in Las Vegas, Nevada, and surrounding communities. The doctor will likely prescribe a nonsteroidal anti-inflammatory drug (NSAID) as a part of the RA treatment plan. While these drugs can provide pain relief and address swelling, they cannot slow down the progression of RA. Therefore, patients with moderate to severe RA will probably need to take other medications to prevent further damage to the joints. “DMARDs” is the acronym for disease-modifying antirheumatic drugs. These medications slow or stop RA from becoming worse. Doctors typically first prescribe methotrexate to treat RA. In case that alone does not adequately calm the swelling, doctors may try or add another type of DMARD. Other types of DMARDs include leflunomide (Arava), hydroxychloroquine (Plaquenil), sulfasalazine (Azulfidine). RA involves an overactive immune system attacking the joints and other body parts. While DMARDs can control the immune system, they are not selective in identifying their targets. This may cause an infection and various other side effects. DMARDs, especially methotrexate, are a very effective treatment for severe RA and they may help save the joints. The doctor may prescribe a biologic when methotrexate or other DMARDs are unable to relieve RA symptoms and swelling. Biologics are genetically engineered proteins. They block specific areas of the immune system that are responsible for the swelling associated with RA. Biologics may slow or stop RA. Different biologics are used to target different regions of the brain. Patients experiencing unbearable joint pain and swelling or severely damaged joints may require joint replacement surgery. The most commonly replaced joints are the knees and hips, and at times, the shoulders. Surgery can provide dramatic pain relief and mobility. A majority of patients wait for joint replacement surgery until after the age of 50 as artificial joint tend to wear down in a span of 15 to 20 years. Artificial replacement is not very effective for certain joints, such as the ankles, which fare better with another surgery known as joint fusion. Physical and occupational therapy can make a vital difference in the patient’s day-to-day life. They are an integral part of any RA treatment plan. Physical therapists can provide the patient with an exercise plan, explain how to use heat and ice, perform therapeutic massage, and motivate the patient. Occupational therapists can help the patient manage their daily tasks, such as cooking or working on a computer, in an easier manner. Furthermore, they can recommend any gadgets that may help the patient.